Q. How do I promise to pay my bill? 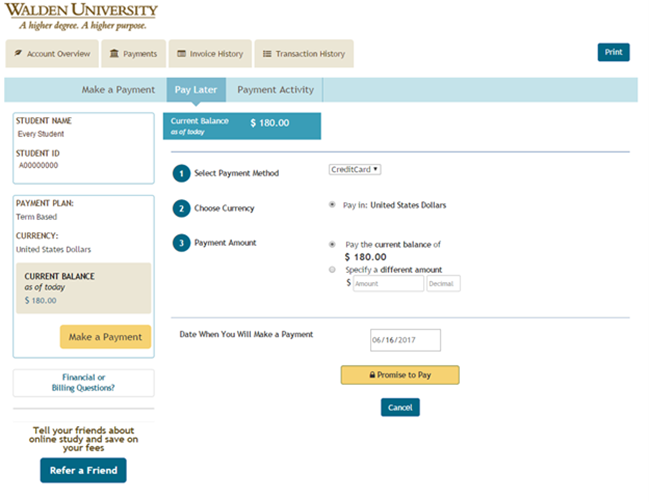 You can advise us of your intention to submit payment in the next two weeks using your Student Financial Portal. From the Account Overview Section, select Payments. From there, select Pay Later. 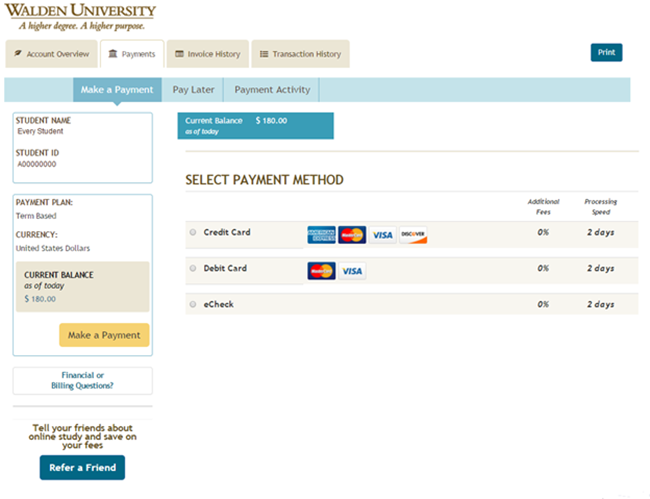 In the Pay Later screen shown below, you will be able to choose your payment method, amount and the date you intend to submit your payment. Note: The date must be within the next 14 days. Then click, Promise to Pay. You will receive an email notification of your promise.